How to take Good Pictures at Night on the Road Part 2 is the final part of the series. Here are more tips to take photos of elements those are not visible at day. So, please start from the older article – How to take Good Pictures at Night on the Road. Just a quick recapitulation – there are many issues in night street photography, majors are Noise, using wrong settings, using Flash etcetera. In the previous writing we delivered two tips. Here are the rest. When the highest value of ISO is not acceptable enough and at the same time you are already using the maximum aperture value (consistent with the depth of field you want), you always have to lengthen the exposure time. In this way, we are introducing the risk of adding two types of blur in the pictures : the blur due to your movements, the blurring due to the movements of the subjects. To reduce the first, remember to set a shutter speed that is equal to or faster than the reciprocal of the focal length you are using, correcting to equivalent focal length for your camera. So if you are using a lens of 35 mm, you will need to set a shutter speed equal to 1/35 so smaller. Keep in mind that, it is difficult for a human being to take pictures with 1/60 s or more longer value. This will in return demand a very very useful stabilization lens, that can give you two or three stop even more. Another solution is to lean on something solid, like a wall or to embrace a pole or similar thing. These devices will offer you more stability than you think of. Finally, you can place the camera on a wall, on the bag or rucksack , on the ground, on the roof of a car and so on. Of course, if you use a tripod, even better it is, but often too uncomfortable for this purpose. To limit these problems, there are some choices you can get from the equipment. The most challenging thing is to to get a camera with good performance at high levels of ISO. As the technology progresses, this is a feature that improves evidently in all categories of cameras. Even now, if you buy a digital SLR at least mid-range or high-end compact evolved, produced from 2011 onwards, you can enjoy much higher performance than previous generations. However, if you already own a camera, maybe you do not want to change it only for the least noise. So, you can rely on the lens only. First, choose best lens with maximum aperture opening very wide, equal to f/2.8 or less. 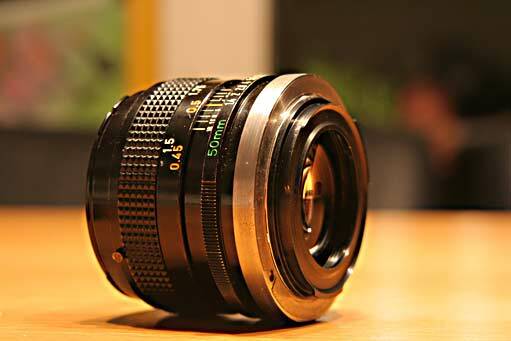 If you do not want to spend a fortune for this kind of lens, you will want to focus on fixed focal length lens. With opening so wide, risks of getting very small depth of field and thus adding blur ruins the majority of each shot. So, you better focused on shorter focal lengths from 50 mm and down. As we have said above, the exposure time to reduce the blur is inversely proportional to the focal length. So, the smaller the length, the slower the shutter speed can be, the easier it will be to get the correct exposure. As a result, you should keep an eye on are the 35 mm and 50 mm lens. On some occasions, you will yourself to not being able to photograph certain subjects in the evening. If they are too dark and you do not have a tripod or some other way to support your camera, will you have to let it go. Concentrate on something that creates less difficulty. Good subjects are plenty of those enlightened, such as monuments and buildings present in all tourist destinations. If you then want to play with the creative moved even the streets populated with cars and people are just fine. Staying in the city, you will have many more subjects which are eligible candidates rather than in less populated areas. Here, the artificial lighting is always very intense. All the windows of the shops and surrounding areas remain to photograph in the evening and at night. The windows also provide an excellent source of lighting for portraits. If you want to photograph a person in the evening, place it so that it includes the window of the side (test at 45 °), as close as possible without the window in the composition. This Article Has Been Shared 6257 Times! Cite this article as: Abhishek Ghosh, "How to take Good Pictures at Night on the Road : Part 2," in The Customize Windows, July 29, 2013, April 26, 2019, https://thecustomizewindows.com/2013/07/how-to-take-good-pictures-at-night-on-the-road-part-2/.